Sports tourism is another way that March Madness stimulates the economy. Because the games are played in various locations across the country, teams and their fans spend money on hotels and restaurant meals, a positive economic impact on the host cities. The biggest winner of 2011 is expected to be Houston, where estimates have direct spending by March Madness fans hitting $100 million. Denver, Cleveland and New Orleans are also expected to reap significant economic benefits. March Madness also offers Americans an opportunity to gamble. According to Sportsbook.com, approximately $75 million was bet in Las Vegas on the tournament. Office pools totaled more than $3 billion, with the cost of lost productivity estimated to be approximately $1.8 billion. Wisconsin Governor Scott Walker’s war on public-sector unions is being brought to the national stage by Senator Tom Coburn (R-OK). 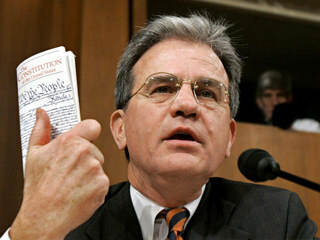 Coburn challenged members of Congress following the release of an exhaustive study by the Government Accountability Office that found many overlapping and duplicate programs from education to defense that cost taxpayers billions of dollars each year. The study found 82 federal programs to improve teacher quality, 47 for job training and employment, as well as hundreds of military clinics that could gain from consolidating administrative, management and clinical functions. Senator Coburn’s position could have an impact on his popularity, much as Wisconsin’s Scott Walker’s controversial stance on public-employee unions has lowered his ratings. A Rasmussen poll reveals that almost 60 percent of likely Wisconsin voters now disapprove of their governor’s performance, with 48 percent strongly disapproving. The poll also finds that the state’s public school teachers are very popular with their fellow Badgers. With 77 percent of those polled holding a high opinion of their educators, it is not particularly surprising that only 32 percent among households with children in the public school system approve of the governor’s performance. 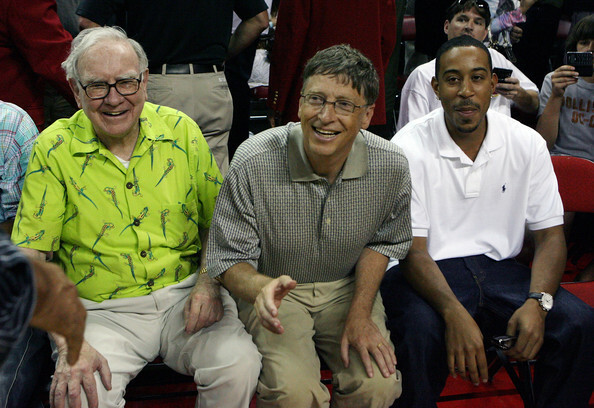 According to Patty Stonesifer, who is advising Gates and Buffett on the Giving Pledge, four additional families – real estate and construction’s Eli Broad, venture capitalist John Doerr, media entrepreneur Gerry Lenfest and former Cisco Systems chairman John Morgridge – are already on board. Buffett, who has already pledged to donate 99 percent of his wealth to the Bill and Melinda Gates Foundation, said “At the latest, the proceeds from all of my Berkshire shares will be expended for philanthropic purposes by 10 years after my estate is settled. Nothing will go to endowments. I want the money spent on current needs,” according to Buffett. Forbes magazine ranks Gates as the world’s second richest man with $53 billion and Buffett as third with $47 billion. The United States is home to 403 billionaires.